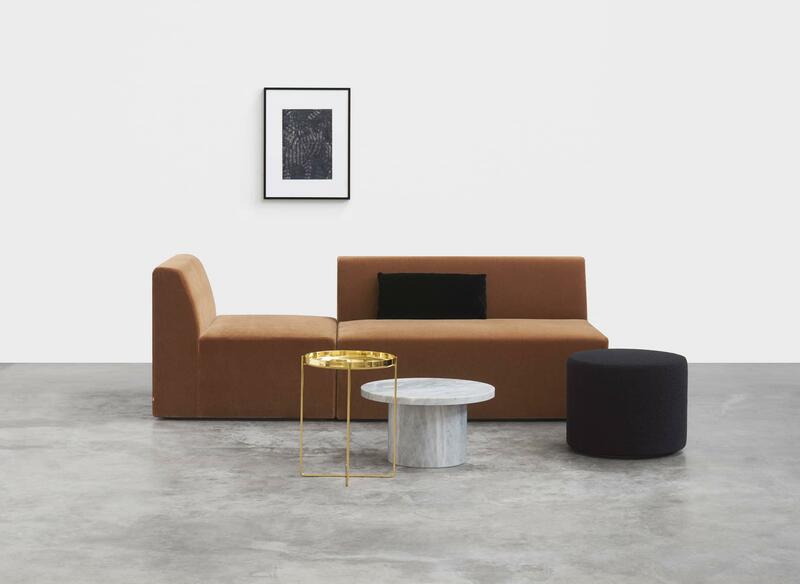 A sculpted silhouette evoking ease and monumentality signes sofa Kerman which strikes a balance between elegant repose and modernist sensibilities. 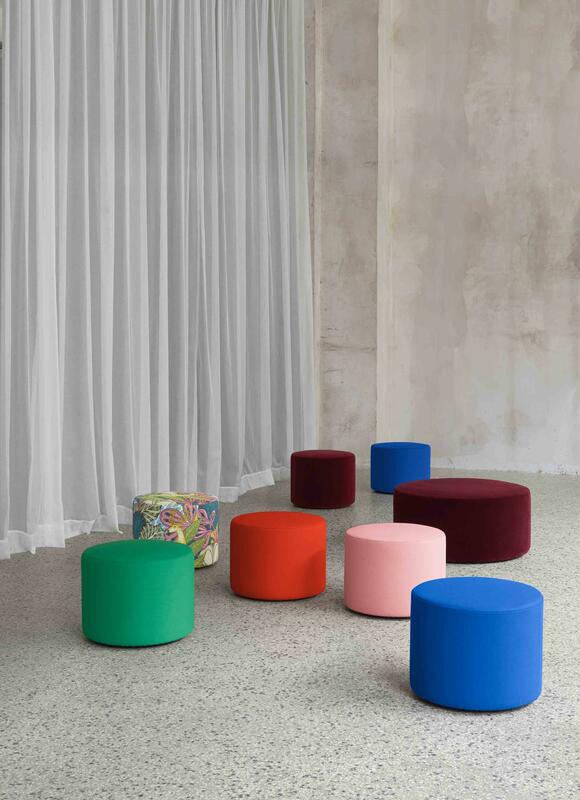 With the freedom to create visually expressive environments, Kerman addresses a variety of requirements in private and public spaces with different seating modules, poufs and armrests. 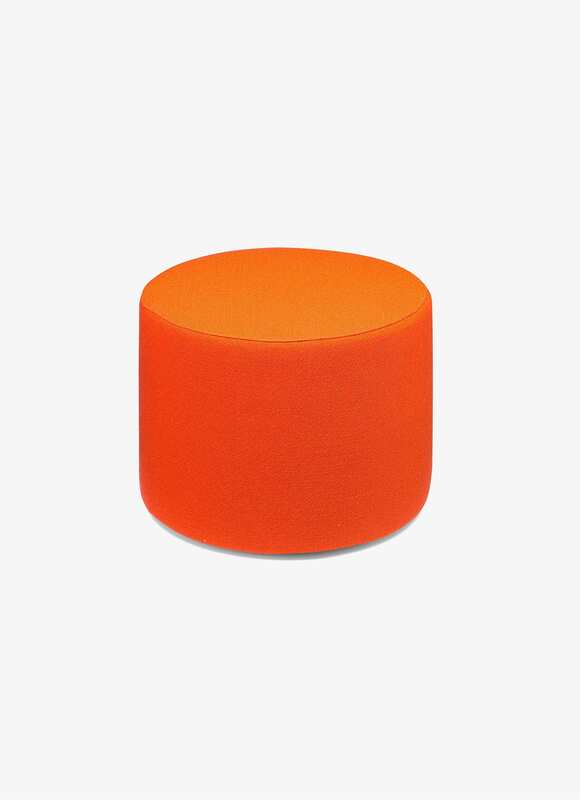 Available in numerous fabrics, the modules can be exibly combined to create small two-seaters or extensive sofa landscapes using a sofa connector. With a seating height of 420 MM and curved backrest, Kerman offers optimal seating comfort and is ideally suited for contract situations. Removable covers throughout. Material und construction: Memory foam, cover fabric, polyether foam, laminated polyester foam, frame in solid wood. 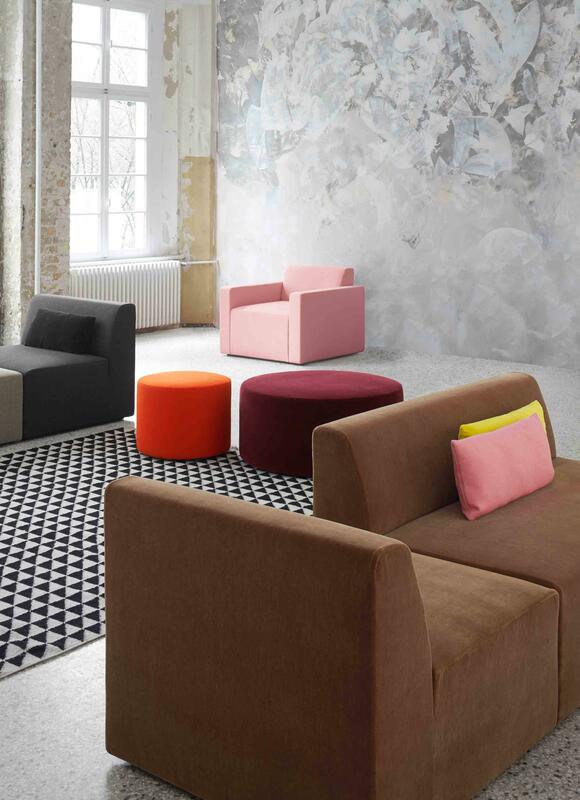 Visit our showroom in Siebensterngasse for more informations about the Sofa Kerman, all modules and textile patterns. All modules in all textile variations are available to order at VOLTA! Made to order, please allow 2-4 weeks for shipping! E15 stands for consistent, progressive design coupled with high-grade materials and innovative, handcrafted production methods. As a quality modern brand that caters to a global home and contract market, e15 maintains a comprehensive approach to interiors, offering a distinct collection that is compatible with diverse environments. With a strong foundation in architecture and design, e15 is de ned by the unique backgrounds of its co-founder and architect Philipp Mainzer together with designer and art director Farah Ebrahimi. In close cooperation with a coterie of designers, architects and artists, e15 develops original products and supports artistic statements, which react the brand’s philosophy and its open approach to diverse cultures and disciplines. Named after the postal code of its first workshop in London, the company was founded in 1995. 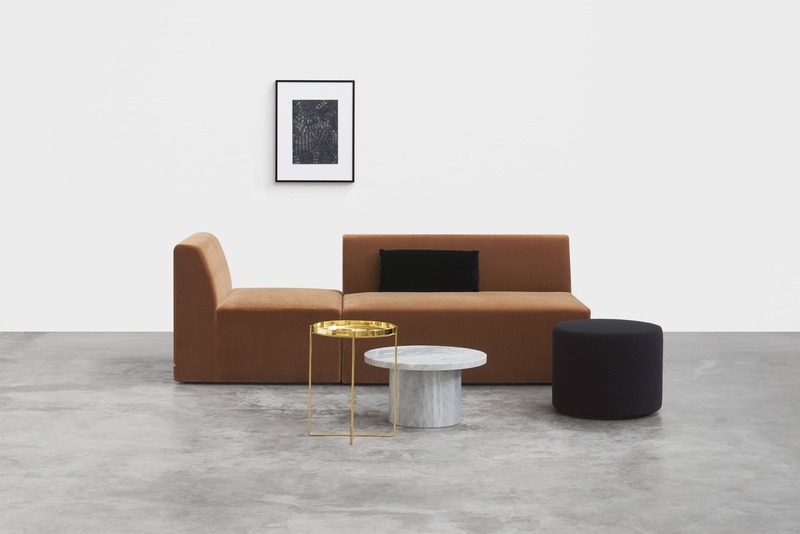 A radical, new simplicity marked the debut of the collection, leaving an indelible mark for the company and the history of modern design. With essential forms, baring all natural markings and characteristics as visible in design classics such as the table BIGFOOT TM and the stool BACKENZAHN TM, e15 has established a leading reputation for the pioneering use of solid wood in its purest form. With headquarters based in Frankfurt, e15 holds a worldwide retailer network with over 600 partners as well as agship showrooms in Frankfurt and Milan. In addition to the collection of furniture, lighting and accessories, e15 collaborates with PHILIPP MAINZER OFFICE FOR ARCHITECTURE AND DESIGN to provide architectural and interior design services, realising projects on an international scale.